Keep this magazine in your truck...you never know when youâ&#x20AC;&#x2122;ll need it! All advertisements, and/or editorials are accepted and published by Over the Road on the representation that the advertiser, its advertising company, and/ or the supplier of the editorials are authorized to publish the entire contents and subject matter thereof. The advertiser, its advertising company, and/or the supplier of the editorials will defend, indemnify and hold Over the Road harmless from and against any loss, expense or other liability resulting from any claims or suits for libel, violation of privacy, plagiarism, copyright or trademark infringement and any other claims or suits that may rise out of publication of such advertisement and/ or editorials. Press releases are expressly covered within the definition of editorials. WANT TO BECOME AN OWNER OPERATOR? No problem! Our company will help you to buy your own truck with no startup cost and guaranteed employment within 7 business days. ATTENTION NEW DRIVERS! Just received your A-Z license and have no experience? Our company will provide you with training & guaranteed employment. You will also be paid during your training. WE HAVE NEW VOLVO VNL 760/860 AND KENWORTH TRUCKS 2020 MODEL ARRIVING SOON. DON’T WAIT! BE ONE OF THE FIRST TO GET ONE OF THE MOST MODERN & LUXURY TRUCKS ON THE ROAD! You Could Be Saving More Money In Your Business... Maximize Your Training Program with Infinit-i Workforce Infinit-i Workforce was designed to inspire and create behavioural changes in your truck drivers and other employees responsible for the day-to-day operations of your trucking company. Infinit-i Workforce not only gives you access to over 800 training videos, but it also provides the best online training, tracking, reporting, and online driver communication platform in the industry. 1 Streamlined Orientations The average savings for a company who is able to eliminate one day of time a driver spends in orientation by using Infinit-i Workforce, including getting the driver on the road one day sooner, equates to $1008 per driver hired. 2 Improved Fuel MPGs By completing the 26 fuel efficiency videos in the Infinit-i LIbrary, Infinit-i Workforce clients have reported increased fleet MPGs by as much as five percent. 3 Instant Corrective Action Training When a driver receives a violation, or is involved in an accident, it is imperative the driver undergoes corrective action training before they get back on the road. Infinit-i Workforce enables you to assign corrective action training immediately following any driver infraction, getting your drivers back on the road sooner. 4 Improved Driver Retention According to a recent study, 40% of employees who receive poor job training leave their positions within the first year. With the average cost to hire one new driver at $8,234, improving driver retention rates with ongoing training can substantially improve your bottom line. 5 Decreased CSA Violations CSA violations mean costly fines for your business. A 2014 study found 76.3% of violations should have been discovered during driversâ&#x20AC;&#x2122; pre-trip inspections. Infinit-i Workforce offers short training videos keeping your drivers aware of possible CSA Violations and best practices for pre-trip inspections. 6 Decreased Frequency & Severity Insurance rates are directly tied to the frequency and severity of accidents companies have in a given five-year period. Ongoing training with Infinit-i Workforce has been shown to help decrease frequency and severity of accidents. LMT Transportation Service is looking for a few good drivers to join our work-family! A Little History March was Women’s History Month, so I thought this article should be about the history of the Women In Trucking Association through my experience as the founder. I am repeatedly asked the question of why I started the organization so, here is my story. First, I’ll go back many years to ‘set the stage’. I was one of the lucky people whose mom told me I could do anything I wanted and there were no ‘girl’ careers. She encouraged me when I took shop class instead of home economics. I learned woodworking, welding, drafting and auto mechanics. This was in 1975, shortly after Title IX of the Federal Civil Rights Act was adopted to create a level playing field in education for girls as well as boys. Until then, girls studied home economics and boys took shop class. Girls were finally able to play basketball, volleyball and track and field in my small high school. When the boys got new uniforms, so did the girls, which was unheard of in those days, as most teams gave the girls the stinky old jerseys from the boys’ teams after they received new ones. No longer! the raw materials into the plants and for shipping the completed products out to our customers. We also had three trucks of our own and I was in charge of hiring, firing and managing the three drivers. efforts. My job was to initiate corporate level programs designed to attract and retain nontraditional groups, such as women! At the time, I was completing my pilot’s license, and I belonged to an organization for female pilots. It struck me that there wasn’t a similar group for women in the trucking industry; so I started one. This occurred before deregulation and all freight rates were regulated by tariffs, so the carriers tried to sell the customer on better service, or sometimes bribes. Yes, I was offered everything from dates with NBA players to illegal drugs. This was in the late ’70s. I was twenty years old. That was in 2007 when the Women In Trucking Association was formed. I copied a lot from the female pilot’s organization, but tapped into the people who supported this mission. I had a great team who shared my passion and we put together a fantastic staff, board and support group. Here we are, nearly twelve years later, with a success story I could never have imagined. NEW COMPANY DRIVER BASE RATES Singles $0.55/Mile Teams $0.62/Mile Call Today for Details! New Dedicated Single O/O Lanes Now Available from Toronto to Mississippi Do You Want to GROW your Business? LOOK NO FURTHER…. Owner Operator Teams Needed for Western Canada and U.S. Owner Operator Singles Needed for U.S.
Company Driver Teams Needed for Western Canada and U.S. Your commitment + Our Great Pay Package = Success! Call our Recruitment Professionals today and let’s get started! This certainly is not the first time this has occurred. In fact, I have been ‘quoted’ as saying many things I don’t agree with or haven’t even said. Misunderstanding an issue (especially a critical one) is too often just lazy thinking. And someone seeking a quick, one-line answer to a broad issue is often not enough investigation. When a driver wishes to become a professional, they need to apply themselves to the facts within their industry. This means not just keeping the truck between the ditches but to understand business and relationships within their industry. It means they need to understand every aspect of their venture, including unpopular things like tax implications and cash flow. Blaming the wrong entity when things go sideways is just immaturity. I have seen an operator blame a carrier for: poor fuel costs, maintenance issues, late loads, damaged shipments… virtually everything. Far too often the real issue is the driver’s inability to take responsibility for their own actions or (mostly) creating unreal expectations in their own minds and assigning blame to everybody else. business models is accumulating the accurate understanding of your industry, customer, market and cash flow. Successful business people understand their numbers. If you don’t put in the time… don’t bother wasting your dime. Being an independent operator requires taking on all responsibilities for all results and making active and strategic choices to create the best chance for their success. What specific actions can be taken to produce the highest return on invested time/effort/money? Just ‘doing what you want to do’ will not automatically produce a respectable return on investment. Appropriately and strategically acting on the facts in your business will produce the respected return on investment. Every day, every trip, every year requires your full attention; it demands your best effort. If you want to be the best, don’t settle for half an answer to what happened; learn your business. About the Author: Robert D. Scheper is a leading Accountant and Consultant to the Lease/ Owner operator industry in Canada. His first book in the Making Your Miles Count series “taxes, taxes, taxes” was released in 2007. His firm exclusively serves Lease/Owner Operators across Canada. His second book “Choosing a Trucking company” is the most indepth analysis of the operator industry available today. He has a Master degree (MBA) in financial management and has been serving the industry since he and his wife came off the road in 1993. His dedication, commitment and strong opinions can be read and heard in many articles and seminars. Being an accountant to operators, I have witnessed numerous clients who refuse to think through what they are doing (tax wise). It’s like they throw their brains into neutral as their eyes glaze over. They do not want to think, they do not want to change what they do, even if it shows they will lose thousands of dollars doing it ‘their way’. This type of stubbornness is very self-destructive. Using the excuse ‘I don’t understand taxes’ is not an acceptable way for a professional operator to operate. If you don’t want to learn the essentials of business success… maybe you should go back to being a company driver. Stop wasting your time and energy trying to make a business work without first understanding HOW it works. You can find him at www.making yourmilescount.com or 1-877-987-9787. Atlantic Canada’s largest, most inclusive trucking show is back this June! This is THE venue where buyers source out the products and services that keep the truck and transportation industry moving, day in and day out. Fleet managers, buyers, and distributors will all be out in full force, looking to talk with your sales and technical staff to plan their next purchase. Booth spaces are selling quickly - don’t miss out on this exceptional business opportunity to generate new leads, build relationships with customers, and increase your sales! WHY IS KLEYSEN THE RIGHT FIT FOR YOU? OWNER OPERATORS Huge O/O rate increase in effect Nov 1 st – Average net pay increased $13K / year! Best Fuel Subsidy program around! Border Transponder and HVUT Fees paid IN FULL! Flexible days away from home to suit your lifestyle! | Direct Deposit bi-monthly gets you paid fast! Dedicated Trucks. We don’t SLIP SEAT! | In-Depth Training provided for all customers and commodities. Best in the industry! $500 / year safety apparel allowance because we care about your safety! equipment etc. By focusing on the safety effort, you’re demonstrating your care and concern for your drivers and the motoring public in general. You can use the safety effort as a springboard for effective efforts on turnover because the two go hand in hand. Professional truck drivers want to drive for professional trucking companies. This is kind of a no brainer, right? Shoddy equipment, being pulled into scales regularly, reporting deficiencies that go unfixed, seeing crashed trucks against the fence in their yard; all these scenarios lead up to high turnover and there is no need for them to exist. If you are one of the two typical companies described in this article, please consider the above and act accordingly. In my own experience, the company I managed was in dire straits when we were at 120% annual turnover. My phone rang continually in the evening or on the weekend and after identifying the caller as my safety manager, before I would say hello, I would ask, did we hurt anyone? This was no fun and it was a situation that could not sustain itself. Fast forward a short five years and we had won three TCA National Fleet Safety Awards and our turnover was at 20%. We were fully staffed and making much better margins. Moving the Moving the industry forward. industry forward. One kilometre at a time. One kilometre at a time. Get on the road to success with the world’s largest retailer. Get on the road to success with the world’s largest retailer. WHAT TO DO IF YOU HAVE AN ENVIRONMENTAL SPILL In the past, spills and accidents were left to dilute with time, not to mention that the government didn’t force many clean ups. The reality is that today, there are much stricter regulations and diligent enforcement is increasing to protect the environment. This now requires trucking firms to have policies and procedures to comply with all the legislation which governs spill reporting and clean up. If this is not done, a trucking company can face severe fines, which can reach or surpass $100,000 (not covered by insurance), bad publicity and significant financial exposures. In addition, there is a NEW LIABILITY RISK on the horizon which is represented by TOXIC TORT LAWYERS who are now presenting class action law suits for multiple claimant environmental incidents, which sometimes exceed millions of dollars. The reality is that this is not a question of IF but rather a question of WHEN an environmental matter will face a trucking company and whether it is properly prepared for it! Specifically, the law identifies the party who released the contaminant as the party responsible for ALL associated remediation costs, for the environmental reports and possibly for punitive fines, regardless of fault for the accident. So, even in accidents where the carrier is not at fault for the release of the contaminant, they are required to pay for the cleanup and then attempt to subrogate (collect) against the liable party. So, what can be done to tackle this potential exposure? It is important that all trucking companies have policies which have checks and balances to ensure the immediate notification to the Environmental Regulator if a spill meets the reportable quantities for that jurisdiction. Education, written policies and basic staff spill response techniques are critical for legal compliance, exhibiting due diligence, mitigation and control of the spill and expenses. Trucking companies without such policies for dealing with environmental spills are at critical risk for spiralling costs, bad publicity and huge punitive fines (again, not paid by insurance). •	The safety of both drivers and others is the first priority. Trying to contain the release should only be undertaken if there is absolutely no risk to anyone. Immediate mitigation should only be attempted if the driver has been trained in general safety techniques/practices for these situations regarding controlling or stopping the spill. Other notable hazards for a driver to confirm include that the scene is safe, that there is no risk of fire, vehicle or load shift, other moving traffic and of course, hazardous materials. Drivers should not undertake dealing with leaking explosive fuel such as gasoline, aviation fuel, propane etc. if they are not suitably trained. If the area is safe, drivers can use relatively inexpensive spill kits in the price range of $60.00 - $350.00 (if these are onboard the truck). These kits can contain fuel tank repair putty, absorbent material, safety glasses, sterile gloves and containment bags. Depending on the size of the spill, a small shovel can be used to make small dams to hold liquids or prevent these from entering catch basins. This is all a matter of training staff and drivers on what to do and having the necessary policies in place. These policies need to be in writing; staff and drivers need to acknowledge that the procedures are understood and this acknowledgment needs to be signed, dated and kept on file. As a wellknown, Toxic Tort lawyer recently stated: “If it is not signed, if it is not dated or if you cannot find it… it did not happen”. This article has been written as general information only and not as legal advice for any specific incident or matter. •	A rag or tree branch to plug up a leaking diesel fuel tank or container. •	Bedding, clothing or mattresses put under the spill to absorb the contaminant. There are many steps and factors to consider and follow once a spill site has been contained to prevent further contamination of an area. The trucking company will send an environmental consultant to inspect the spill site, conduct an assessment and then provide a recommendation to the trucking firm / adjuster and/or insurer as to the preferred approach of site correction. autonomous driving vehicle yet. So, they didn’t lose drivers. They are still operating and servicing their customers and shippers. And they can sleep at night. This person thinks that the influx will be even more extensive than in December 2017. Why am I so happy that we will finally have ELDs across the board (at least in the trucks running the USA)? If we can finally get rid of the expectation that a driver has to lie and cheat to make up for other inefficient shipping practices, maybe the trucking industry will start to pay a driver what he/she is worth. It has been too long that the drivers cover for the shippers. Drivers are still getting abused by the shippers and receivers. Many drivers are not getting paid for excessive waiting times and are expected to edit the AOBRD or illegal ELD to make it all work. I’m all for paying the truck driver for the work that they perform, and I don’t think that a driver should have to lie to make decent earnings. AOBRDs and the illegal ELDs are coming to an end. The end is near. For the illegal ELDs, the Ministry of Transportation of Ontario (MTO) and the US Department of Transportation (DOT) is watching out for you. But maybe the more significant threat is from the insurers. The insurance companies know the brands of ELDs that don’t comply with the regulations and are pressuring the trucking company to switch to an ELD provider that does it legally. I know of one insurer that gave a trucking client 30 days in which to either change ELDs or their insurance company. It is the trucking company’s choice. I also read recently that there are more than 400 ELD self-certified providers and a significant percentage are not compliant. The estimate is around 20% of the ELD manufactures didn’t meet the FMCSR standards. The authorities and insurers are cracking down. As for the legal AOBRDs, these units must be swapped out or changed for an ELD by December of 2019 which is just months away. An ELD provider told me that they are expecting a massive surge in business. TRUCKING COMPANIES Online Recruiting Videos are the newest way to tell your story to Owner Operators & Drivers Do you want to boost your social media presence while attracting more Drivers to apply? 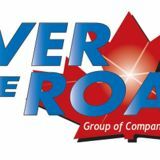 Over the Road Magazine is pleased to partner with Carson Haight of H8Media to offer video production services to the trucking industry. 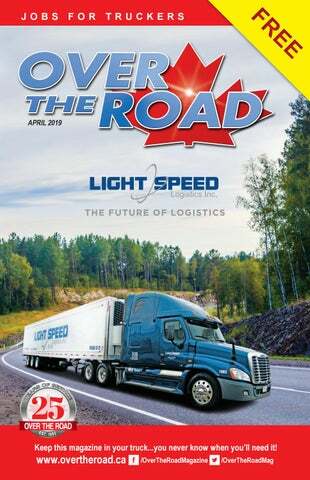 With the continued growth of online and mobile communications, trucking companies are now using online videos to help recruit Drivers and Owner Operators. A recruiting video will engage prospective Drivers, help encourage click through rates to your website and ultimately increase the number of applicants you receive. We’re seeking Dedicated Drivers and Owner Operators to be part of our Team. YOUR LIFE YOUR LANE Join one of Canada’s premier transportation companies today and get the pay and miles you deserve! If you are an Experienced, Safe, Owner Operator, now is the time to look at CNTL! CNTL is CN’s Trucking Subsidiary, the continuing growth of Intermodal freight means we always have the moves available that meet or exceed your revenue objectives. Ask about our Safety Bonus, and Safety Awards! Keep more of your earnings with your fuel price capped at 35 cents per litre. Take advantage of our Tire, Bunk and Engine Heater programs, and Group Truck Insurance.